I've never bought glimmer mist before, I guess it's because I'm too cheap! (smile) Not sure what I was looking for, but I stumbled upon a couple You Tube videos about making your own mist. 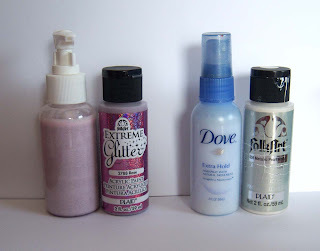 The first few I watched still had too many ingredients I'd have to buy to entice me, but then I discovered a "recipe" for making glimmer mist that is easy and cheap to make! This mist takes only two ingredients -- water and metallic paint. Since I already had some Metallic Pearly White on hand (for painting my homemade dew drops) I decided to try it and see how it worked. Here's a photo of two card fronts - side by side to show you the difference. Dollar Tree sells little travel size bottles - you can get 3 for a $1. Of course they don't all have the sprayer top, but it's not a problem for me to switch the sprayer when I need it (it's not like I'm going to use it on every project). You can see I also recycled a travel size hair spray bottle . 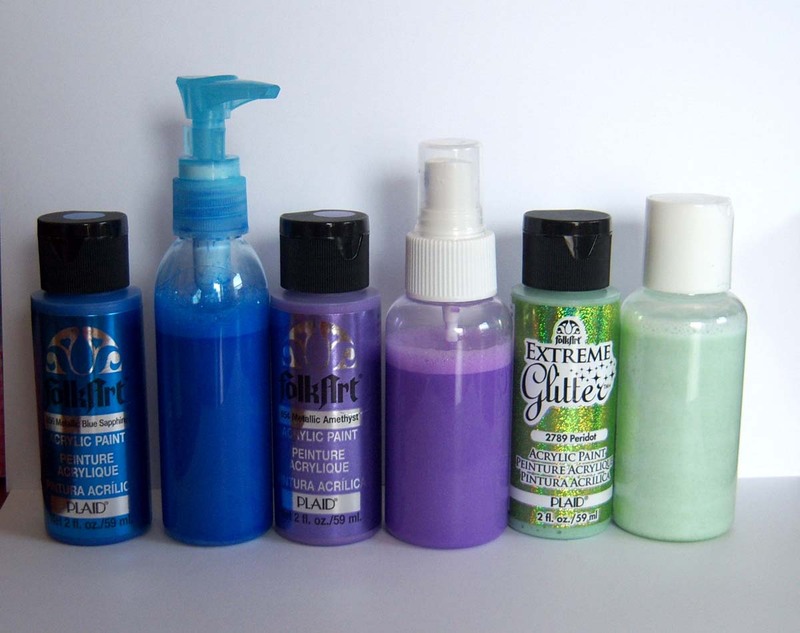 In the above pictures you'll see two Extreme Glitter Acrylic Paints --- these both came out with more glitter than color. Nice if you want to add glitter to a project - but doesn't seem to add a lot of color to your paper. The end product only cost about 70 cents as apposed to $6.99!! I'm not the kind of person that needs every color -- in fact I'm pretty happy with what I have right now. No big investment, but a lot of satisfaction and enjoyment! Here's the other card I made WITHOUT the mist --- I'll post the top one again so you can compare the two. Can you see how the second one shimmers? 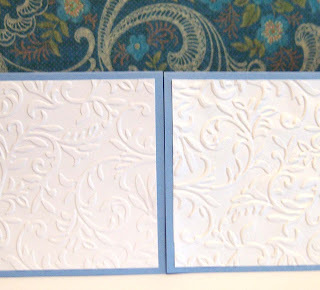 I think this pearl one is my favorite of all of them -- love white pearly paper! I'll leave you with a "teaser" for tomorrows post -- glimmer misted flowers! This turned out great! 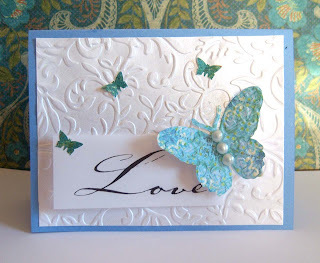 I love crafting and making cards so I may have to give your idea a try! Thanks for sharing. I'm too cheap for storebought glimmer mist, too. :) The recipe you found seems a likely candidate for me (i.e. not a lot of ingredients to buy), so I'll be sure to give it a try sometime! What a GREAT idea! I'll have to try this! Seems easy enough. Thanks so much for your kind words on my blog. After seeing this great idea I'm going to have to check out the rest of your blog. Have a great day! You're brilliant, I have some glimmer mist I got from a friend as a trade and I love it...but have never bought any more either because the prices in Canada range from 7.99 to 10 for a bottle! Thanks for this, I will definitely use it! Cool. I might have to try this. So I went and got myself a couple folk art and extreme glitter paints, all turned out amazing. I will blog about your idea and link it up for others to find your and post some pics for everyone to see my results with it. Cheers! Nice! I love cheaper versions of things! Thanks for sharing! I saw this link back on another blog, will have to give this a try. I have a couple of glimmer mists bought with coupons lol, but would love other colours. Genius! Love how simple the recipe is. Beautiful cards. 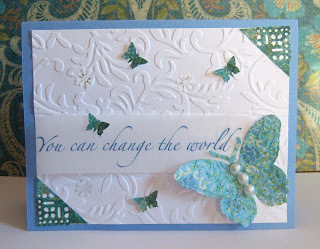 The shimmer on the embossing is gorgeous! Yeah...I bought the expensive stuff and am almost out...so I WILL NOT be buying that ever again!!!! Perfect - I used all the pumps for home made lotion - now I can use the sprayers for the glimmer mist! Thanks for sharing!! This is too perfect!! 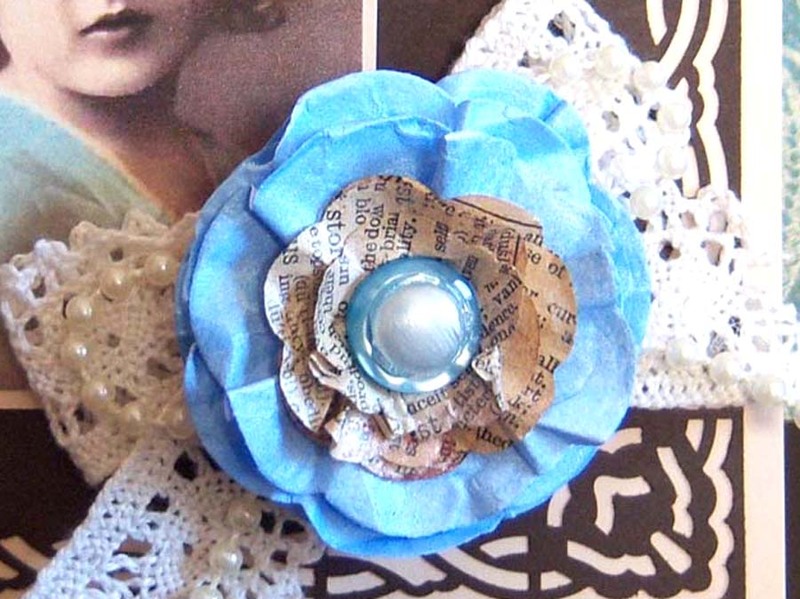 I've been hunting for this very sort of thing and yours fits my budget wonderfully! Have you come up with any alternative color stain sprays? Magnificent site. Lots of useful info here. I am sending it to some friends ans additionally sharing in delicious.